The mad doctor will see you now. The modern-day pharmacy doesn’t offer much for those fascinated by the macabre. From the fluorescent lighting to the greeting card aisle and coolers full of frozen pizzas, such sterile environments aren’t exactly the stuff of nightmares—even if the piped-in adult contemporary music is pretty diabolical. But step back in time to the New Orleans Pharmacy Museum, and it’s clear how unsettling the pharmacies of yesteryear could be. This is not a place to buy bags of Halloween candy on the cheap. It’s where a simple headache may have resulted in being bled with an unwashed razor, before a man injected you with metallic poisons via a lead syringe. Located in the storied French Quarter, this historic site from 1823 was the first licensed pharmacy in the United States and appears much the same way it did in the early 19th century. Old-school catheters lay under shelves packed with strange tinctures and serrated saws designed to hew gangrenous bones. Jars of opiates clutter the counter, some of which contain pills coated in silver and gold paint once used to dull the pain of the wealthy—a gimmick that ironically kept the pill’s medical ingredients from being digested. Nearby is an obstetrics table complete a diabolical device apparently used to scrape out the placenta following a birth. It doesn’t help that all of these old medical procedures completely violate the hygiene thresholds expected of modern medicine. The evolution of the pharmacy’s syringes, for example, reads like a grim exercise in hygienic trial-and-error: The original tools were made of poisonous lead. 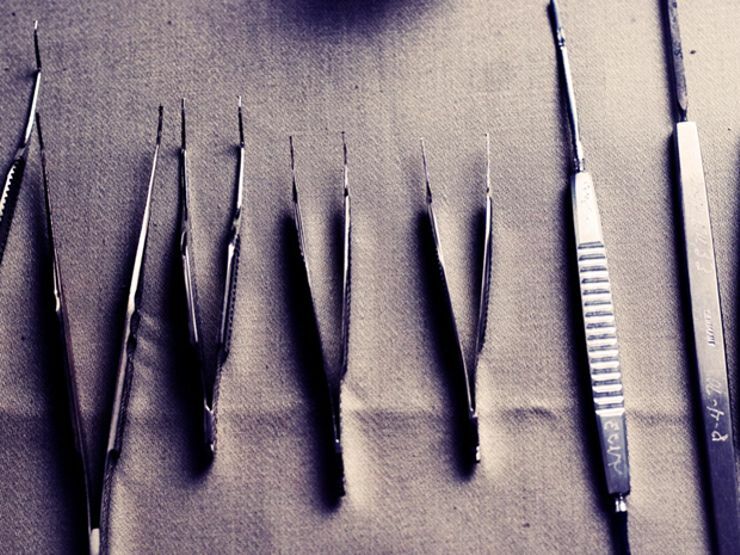 Later, safer materials were used, yet needles were neither cleaned nor sharpened. Nothing like a blunt, bacteria-coated puncture to get you feeling fit again. Then again, perhaps a dull syringe was the least of a patient’s worries in 19th century New Orleans. Clouds of noxious smoke rose over the Mississippi River throughout the pharmacy’s original run. The Big Easy often fought outbreaks of disease with huge, 24-hour bonfires of feverfew plants. It was believed the smoke would counteract harmful ‘vapors.’ When the bonfires didn’t work, city officials shot cannons into the air, thinking the resulting explosions would clear any ill miasma. Such paranoia was well-founded. New Orleans has always been a city susceptible to disease. In 1853, a yellow fever epidemic took the lives of almost 8, 000 citizens, or approximately 7 percent of the city’s population. 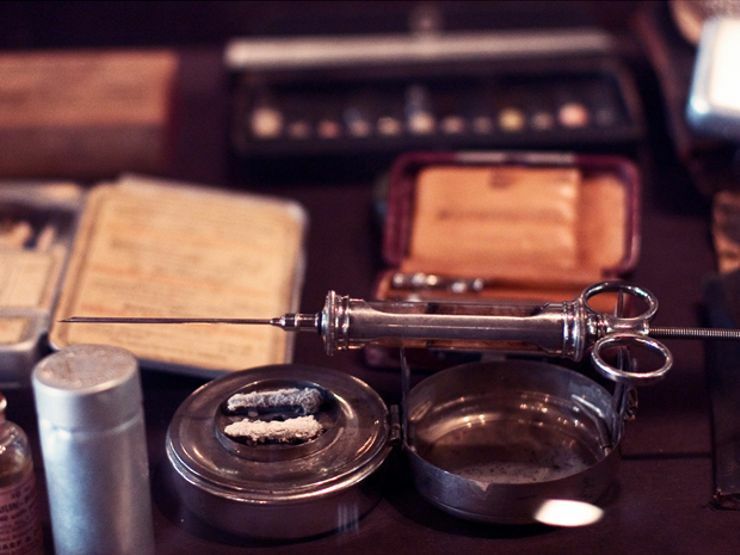 Visitors to the Pharmacy Museum get a glimpse into the grim medical practices of yesteryear as well as the history of old New Orleans—in particular, the city’s painful racial politics. African Americans were once believed to be immune to yellow fever, a fallacy that stemmed from slaves having survived harsh conditions that bolstered their resistance to the disease. Even the pharmacy’s original owner, Louis Joseph Dufilho, Jr., was a well-respected medical professional and a slave owner. In fact, the pharmacy stands across from what was once the busiest slave auction house in the country. Perhaps the troubled past of the Pharmacy Museum and its surroundings is the reason why museum visitors report encounters with restless spirits. While Dufilho’s ghost is not believed to haunt the site, the ghost of his successor, Dr. Joseph Dupas, has been seen. Local lore suggests Dufilho sold his pharmacy to Dr. Dupas in 1857, who promptly used his new position to conduct voodoo rituals and disturbing experiments on pregnant slaves. Today, his spirit roams the museum at night in a brown suit, moving items in display cases and setting off the building’s alarm system. While visitors may bump into Dupas’ spirit at the pharmacy, one creepy exhibit no longer on view is the museum’s jar of live leeches. The wriggling worms have not been removed for fear of faint hearts—but for commerce. 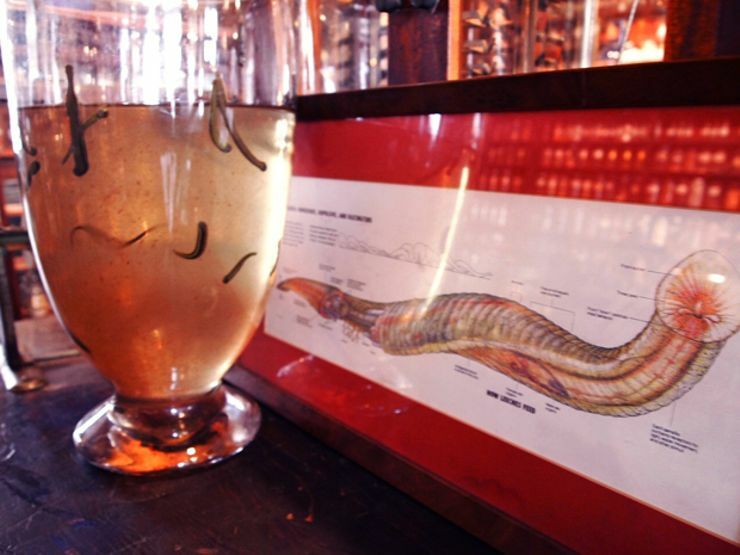 Licensed medical institutions order live leech shipments from the museum. Of all the oddities present in this establishment, one of the grisliest— blood-sucking worms—is still employed in modern medical practice. Therein lays the creepy core of the New Orleans Pharmacy Museum: Yes, it’s a place where outdated medical practices and implements let us smirk at the past with 20/20 hindsight. At the same time, the aftertaste makes one wonder: What will our descendants mock about us? 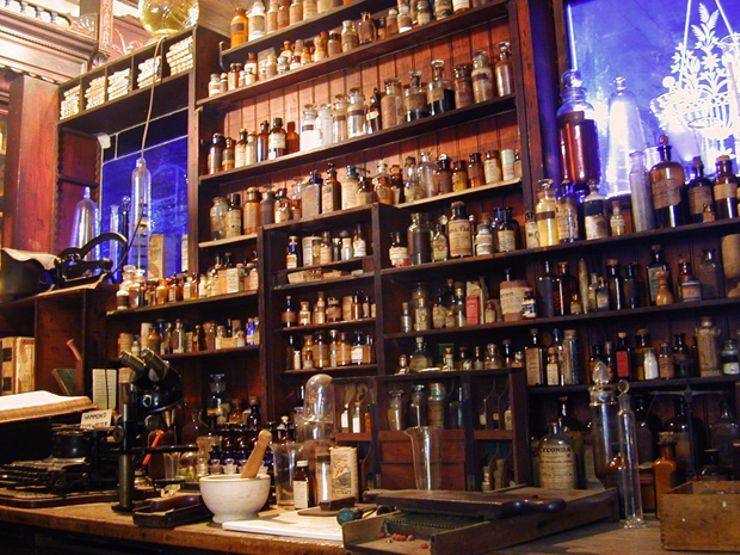 As you peruse a shelf of strangely labeled antique poisons, you feel a smug disconnect from the past—‘Well, we’d never sell that sort of thing in a corner store today’. But give it a few minutes, and you may experience the creeping realization that someone, someday, will marvel at our primitive, brutal lives.